George Edmund Farrer was a lawyer, investment broker, and real estate developer. The Vancouver directories listed him at 678 Gilford Street in 1893 and at 1900 Haro Street (the corner of Haro Street and Gilford Street) from 1895 to 1903. He was born on August 13, 1865, in Liverpool, England. His parents were Joseph Farrer (1839-1919) and Mary Shields (1843-1922). George came to Canada with his parents about 1869. The family settled in Parry Sound, Ontario. It appears that George obtained a bachelor of laws degree sometime in the late 1880s. On July 18, 1889, in Parry Sound, George married Elizabeth Jane Schenick. She was born in Brampton, Ontario on December 10, possibly in 1858. Her parents were Thomas Duncomb Shenick and Elizabeth Kirk. After the marriage, George and Elizabeth moved to Vancouver, where George established an investment brokerage business. By 1893, George appeared at 678 Gilford Street in the Vancouver directory. By 1894, his investment brokerage business was at 304 Cordova Street. The 1894 directory gave his home address as the corner of Haro and Gilford. He was a member of the B.C. Stock and Mining Exchange, and he represented the Canadian Mutual Loan and Investment Company of Toronto. In 1896, George appeared in the Souvenir Edition of the Vancouver World. He often advertised his business in the Vancouver and Victoria newspapers. From 1900 to 1902, he was a law student with Joseph Martin, Q.C. (1852-1923) and Ernest John Deacon (1872-1939). By 1903, the Vancouver directory described George as a barrister. In 1905, Elizabeth acquired a timber berth on the north side of Farrer Cove, which is on Indian Arm on the North Shore of Vancouver. (A timber berth is a specified area of timberland in which a company or individual is entitled to fell trees: Canadian Oxford Dictionary, 1998). George held an adjacent timber berth. In 1910, George may have been living near the corner of Napier Street and Park Drive in Vancouver. In 1913, George acquired homestead land at Belvedere, near Farrer Cove. Elizabeth died at Belvedere on June 3, 1932. She was buried in Fraser Cemetery in New Westminster, British Columbia. George died in Burnaby, British Columbia on March 20, 1957. He was buried in Fraser Cemetery in New Westminster. George and Elizabeth had the following children. Edmund Aubrey Joseph Farrer was born on June 7, 1890, in Vancouver. In 1910, he went on a trip to Seattle, Washington. He described his occupation as “lumber man.” It appears that he immigrated to the United States about 1911. By 1917, was working as a farm laborer in Wapoto, Yakima County, Washington. He registered with the United States military draft. In 1920, he was living in Nob Hill, Yakima County, along with his wife, Marie and their son. In 1930, Edmund and Marie were in Greenwood, King County, Washington. Sometime between 1930 and 1940, Edmund and Marie were divorced. In 1940, Edmund was in Richmond Highlands, Ronald Election Precinct, King, Washington. Edmund died in Seattle, Washington, on June 8, 1957. George Leslie Farrer (often called “Leslie”) was born in Vancouver on June 9, 1892. He lived much of his life in Washington State. He registered with the United States military during both the First World War and the Second World War. He served as a sergeant in the United States military during the First World War. In 1920, he was a laborer. In 1930, he was the owner of a garage. In 1942, he was a car salesman. He became a naturalized United States citizen. On December 5, 1921, in Yakima, Washington, he married Georgia Alvie Temple. She was born on November 2, 1902. Her father was George Temple. Her mother was Alva M. Bardwell. In 1930, George was living in Greenwood, King County, Washington State, along with Georgia, and their children. In 1940, George and Georgia were living in Richmond Highlands, Ronald Election Precinct, King County, Washington. Georgia died in Seattle, Washington, on April 29, 1944. She was buried in Evergreen Washelli Memorial Park in Seattle, Washington. On December 22, 1944, George married Lucy Ermine Goodale. She was born in Liberty, Polk County, Minnesota. Her parents were Clark Baker Goodale (1866-1943) and mother Anna (Annie) Christine Witty ((1875-1966). George died in Kent, Washington, on January 31, 1972. He was buried in Hillcrest Burial Park in Kent, King County, Washington. Lucy died in Seattle on December 31, 1992, in Seattle. She was buried in Hillcrest Burial Park in Kent. George and Georgia had a daughter, Lillian, who was born about 1931. She died in Seattle on April 29, 1944. Marguerite Adelaide (Adeline) Farrer was born in Vancouver on October 22, 1896. On July 13, 1915, in Vancouver, she married William Leslie Lambe Underhill. He was born in Mission, British Columbia, on July 2, 1895. His parents were Frederick Theodore Underhill (1858-1936) and Beatrice Alice Muriel (1863-1949). Frederick Underhill was a medical doctor. Marguerite became ill, and she was institutionalized. William divorced her and he later married Mary Clair Frame (also known as Molly). She was born in Vancouver on January 22, 1893. Her parents were William Frame (1864-1941) and Mary Statira Wells [sometimes Statira (or “Statiera”) Elizabeth Wells] (1863-1935). Mary Statira Wells was a well-known Vancouver artist. William died in Vancouver on August 18, 1984. Molly died in Vancouver on April 7, 1989. Marguerite died in Burnaby, British Columbia, on September 16, 1991. 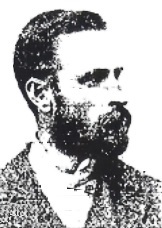 Joseph Farrer (1839-1943 [sic]); http://www.ancestry.ca/genealogy/records/joseph-farrer_860101. “Canada Census, 1871,” database, FamilySearch (https://familysearch.org/ark:/61903/1:1:M474-JNS : accessed 2 September 2015), Joseph Fairer, Watt, Muskoka, Ontario, Canada; citing p. 34, line 13; Library and Archives Canada film number C-10022, Public Archives, Ottawa, Ontario; FHL microfilm 4,396,630; http://data2.collectionscanada.ca/1871/pdf/4396630_00716.pdf. “Canada Census, 1881,” database, FamilySearch (https://familysearch.org/ark:/61903/1:1:MVX1-7QP : accessed 2 September 2015), Joseph Farrer, Parry Sound & Parry Island, Muskoka, Ontario, Canada; citing p. 23; Library and Archives Canada film number C-13244, Library and Archives Canada, Ottawa, Ontario; FHL microfilm 1,375,880. “Canada Census, 1901,” database, FamilySearch (https://familysearch.org/ark:/61903/1:1:KHL2-MLZ : accessed 2 September 2015), Joseph Farrer, I1, Muskoka & Parry Sound, Ontario, Canada; citing p. 5, Library and Archives of Canada, Ottawa. “Recensement du Canada de 1911,” database, FamilySearch (https://familysearch.org/ark:/61903/1:1:QV9P-9J82 : accessed 2 September 2015), Joseph Farrer, 1911; citing Census, Parry Sound Sub-Districts 1-39, Ontario, Canada, Library and Archives of Canada, Ottawa, Ontario; FHL microfilm 2,418,516. “Ontario Deaths, 1869-1937 and Overseas Deaths, 1939-1947,” database with images, FamilySearch (https://familysearch.org/ark:/61903/1:1:JK7L-J5V : accessed 2 September 2015), Joseph Farrer, 02 Apr 1919; citing Parry Sound, Parry Sound, Ontario, yr 1919 cn 25268, Archives of Ontario, Toronto; FHL microfilm 1,862,966. 1921 Canada census; Mary Farrer; Reference Number: RG 31; Folder Number: 80; Census Place: Parry Sound (Town), Parry Sound, Ontario; Page Number: 7; Ancestry.com. 1921 Census of Canada [database on-line]. Provo, UT, USA: Ancestry.com Operations Inc, 2013. “Ontario Deaths, 1869-1937 and Overseas Deaths, 1939-1947,” database with images, FamilySearch (https://familysearch.org/ark:/61903/1:1:J6PR-C94 : accessed 2 September 2015), Mary Shields Farrer, 22 Sep 1922; citing Parry Sound, Parry Sound, Ontario, yr 1922 cn 25305, Archives of Ontario, Toronto; FHL microfilm 1,907,008. “England Births and Christenings, 1538-1975,” database, FamilySearch (https://familysearch.org/ark:/61903/1:1:NF56-PLN : accessed 1 September 2015), George Edmund Farrer, 28 Sep 1865; citing Liverpool, Lancashire, England, reference item 15; FHL microfilm 1,595,425. “England and Wales Birth Registration Index, 1837-2008,” database, FamilySearch (https://familysearch.org/ark:/61903/1:1:2N97-Y27 : accessed 1 September 2015), George Edmund Farrer, 1865; from “England & Wales Births, 1837-2006,” database, findmypast (http://www.findmypast.com : 2012); citing Birth Registration, West Derby, Lancashire, England, citing General Register Office, Southport, England. “Ontario Marriages, 1869-1927,” database with images, FamilySearch (https://familysearch.org/ark:/61903/1:1:FMVC-MRB : accessed 1 September 2015), George Edmund Farrer and Elizabeth Jane Schenick, 18 Jul 1889; citing registration , Parry Sound, Ontario, Canada, Archives of Ontario, Toronto; FHL microfilm 1,870,304. Marriage Record Citation, http://automatedgenealogy.com/uidlinks/ShowMarriage.jsp?id=3690; “Star Gazing, Reflections from the Parry Sound North Star. A collection of birth, marriage and death notices with selected articles and photos, compiled by Laura Knight Heidman. PG.75,Thursday,July 18th,1889 at the residence of the bride’s sister, Mrs. R.B. Armstrong, by Rev. J.A. Chapman, M.A., Geo. 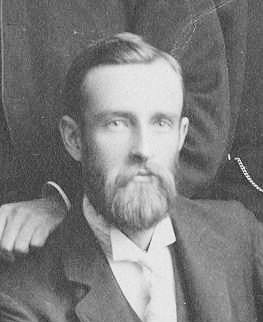 E. Farrer, LL.B., second son of Joseph Farrer, Police Magistrate, to Elizabeth Jane Shenick, eldest daughter of Mrs. Shenick, all of Parry Sound. The happy couple left by steamer Maxwell for British Columbia where the intend making their future home. They were accompanied to the wharf by many friends who gave them a good ‘send off’”. 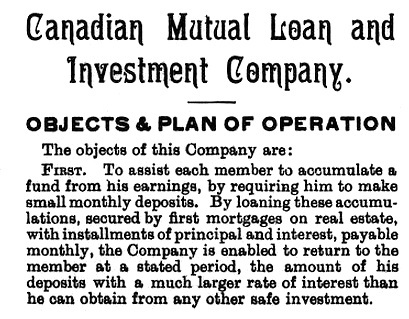 Canadian Mutual Loan and Investment Company, brochure, published 1888, https://archive.org/stream/cihm_37737#page/n4/mode/1up. “Gratifying Growth; The Canadian Mutual Loan and Investment Company; Report of the Fifth Year’s Business—Evidences of Satisfactory Extension—Interesting Financial Statements Given by the Directors,” Daily Mail and Empire, September 7, 1895, page 2; https://news.google.com/newspapers?id=gV4BAAAAIBAJ&sjid=TCkDAAAAIBAJ&pg=3920%2C4941561. Mr. Martin complains: Canadian Mutual Loan and Investment Company; The Cost of Management; Definite Statements on the Subject; Mr. J. J. Withrow, President, Defends the Company and Its System of Management–Mr. Mitchell’s Comments,” Toronto Globe, February 26, 1897, page 8. Canadian Mutual Loan & Investment Co. v. Lee, (1903), 34 Supreme Court Reports 224 (Supreme Court of Canada); https://scc-csc.lexum.com/scc-csc/scc-csc/en/item/2845/index.do. G.E. Farrer, photograph, Vancouver World, Souvenir Edition, June 1896, page 7. “Canada Census, 1901,” database, FamilySearch (https://familysearch.org/ark:/61903/1:1:KHVN-V7W : accessed 3 September 2015), George E Farrer, D, Burrard, British Columbia, Canada; citing p. 4, Library and Archives of Canada, Ottawa; http://automatedgenealogy.com/census/View.jsp?id=36129&highlight=46&desc=1901+Census+of+Canada+page+containing+George+E.+Farrer; http://data2.collectionscanada.ca/1901/z/z001/pdf/z000010187.pdf. 1921 Canada Census; George Edmund Farrer; Reference Number: RG 31; Folder Number: 14; Census Place: Dewdney, Fraser Valley, British Columbia; Page Number: 43; Ancestry.com. 1921 Census of Canada [database on-line]. Provo, UT, USA: Ancestry.com Operations Inc, 2013. “British Columbia Death Registrations, 1872-1986,” database with images, FamilySearch (https://familysearch.org/ark:/61903/1:1:FL5W-GS9 : accessed 1 September 2015), George Edmund Farrer, 20 Mar 1957; citing Burnaby, British Columbia, Canada; British Columbia Archives film number B13231, Division of Vital Statistics, Victoria; FHL microfilm 2,033,147. “Find A Grave Index,” database, FamilySearch (https://familysearch.org/ark:/61903/1:1:QVPS-S2DD : accessed 1 September 2015), George Edmund Farrer, 1957; Burial, New Westminster, Greater Vancouver Regional District, British Columbia, Canada, Fraser Cemetery; citing record ID 137662869, Find a Grave, http://www.findagrave.com/cgi-bin/fg.cgi?page=gr&GRid=137662869. “Ontario Census, 1861,” database, FamilySearch (https://familysearch.org/ark:/61903/1:1:MQQG-WL6 : accessed 2 September 2015), Elizabeth J Shenich, Brampton, Peel, Ontario, Canada; citing p. 2, line 12; Library and Archives Canada film number C-1062, Public Archives, Toronto; FHL microfilm 349,309. “Canada Census, 1881,” database, FamilySearch (https://familysearch.org/ark:/61903/1:1:MVX1-PB9 : accessed 2 September 2015), Elizabeth Jane Shenick in household of Robert Armstrong, Hagerman & McKellar, Muskoka, Ontario, Canada; citing p. 8; Library and Archives Canada film number C-13244, Library and Archives Canada, Ottawa, Ontario; FHL microfilm 1,375,880. “British Columbia Death Registrations, 1872-1986,” database with images, FamilySearch (https://familysearch.org/ark:/61903/1:1:FLGJ-LV3 : accessed 1 September 2015), Elizabeth Jane Farrer, 03 Jun 1932; citing Belvidere, British Columbia, Canada; British Columbia Archives film number B13144, Division of Vital Statistics, Victoria; FHL microfilm 1,952,655. “British Columbia Birth Registrations, 1854-1903,” database with images, FamilySearch (https://familysearch.org/ark:/61903/1:1:JDZD-KTB : accessed 1 September 2015), George Edmund Farrer in entry for Edmund Aubrey Joseph Farrer, 07 Jun 1890; citing British Columbia Archives film number B13809, Vital Statistics Agency, Victoria; FHL microfilm 2,114,717. “United States Border Crossings from Canada to United States, 1895-1956,” database, FamilySearch (https://familysearch.org/ark:/61903/1:1:FSZS-YT1 : accessed 2 September 2015), Edmund A Farrer, Apr 1910; from “Border Crossings: From Canada to U.S., 1895-1954,” database and images, Ancestry (http://www.ancestry.com : 2010); citing Ship , arrival port Sumas, Washington,, line 2, NARA microfilm publication M1464, roll 122, NARA record group 85, National Archives and Records Administration, Washington D.C.
“United States World War I Draft Registration Cards, 1917-1918,” database with images, FamilySearch (https://familysearch.org/ark:/61903/1:1:29JC-C6J : accessed 2 September 2015), Edmund Aubrey Farrer, 1917-1918; citing Whitman County, Yakima County, Washington, United States, NARA microfilm publication M1509 (Washington D.C.: National Archives and Records Administration, n.d.); FHL microfilm 1,992,259. “United States Census, 1920,” database with images, FamilySearch (https://familysearch.org/ark:/61903/1:1:MHFD-LYW : accessed 2 September 2015), Edmund A Farrer, Nob Hill, Yakima, Washington, United States; citing sheet 7A, family 5, NARA microfilm publication T625 (Washington D.C.: National Archives and Records Administration, n.d.); FHL microfilm 1,821,945. “United States Census, 1930,” database with images, FamilySearch (https://familysearch.org/ark:/61903/1:1:XCSB-J4Z : accessed 2 September 2015), Edmund A Farrer, Greenwood, King, Washington, United States; citing enumeration district (ED) 0287, sheet 6A, family 169, line 33, NARA microfilm publication T626 (Washington D.C.: National Archives and Records Administration, 2002), roll 2490; FHL microfilm 2,342,224. “United States Census, 1940,” database with images, FamilySearch (https://familysearch.org/ark:/61903/1:1:K9SS-9QZ : accessed 2 September 2015), Edmond A Farrer, Richmond Highlands, Ronald Election Precinct, King, Washington, United States; citing enumeration district (ED) 17-173, sheet 5A, family 126, NARA digital publication T627 (Washington, D.C.: National Archives and Records Administration, 2012), roll 4346. “Washington, Death Certificates, 1907-1960,” database, FamilySearch (https://familysearch.org/ark:/61903/1:1:N314-QX1 : accessed 2 September 2015), E. Aubrey Farrer, 08 Jun 1957; citing Seattle, King, Washington, reference 11234, Bureau of Vital Statistics, Olympia; FHL microfilm 2,033,721. “British Columbia Birth Registrations, 1854-1903,” database with images, FamilySearch (https://familysearch.org/ark:/61903/1:1:JDZX-4PY : accessed 1 September 2015), George Edmund Farrer in entry for George Leslie Farrer, 09 Jul 1892; citing British Columbia Archives film number B13810, Vital Statistics Agency, Victoria; FHL microfilm 2,114,718. “United States World War I Draft Registration Cards, 1917-1918,” database with images, FamilySearch (https://familysearch.org/ark:/61903/1:1:29JC-C6V : accessed 2 September 2015), George Leslie Farrer, 1917-1918; citing Whitman County, Yakima County, Washington, United States, NARA microfilm publication M1509 (Washington D.C.: National Archives and Records Administration, n.d.); FHL microfilm 1,992,259. Veterans’ Affairs, Department of, World War I Service Statement Cards, 1917-1919 – 00012907.Tif – George L Farrer; http://www.digitalarchives.wa.gov/Record/View/42B3AC41B838905FD4724FC8549AE893. Jefferson County Clerk, Naturalization Records, 1852-1974 – George – Leslie – Farrer; http://www.digitalarchives.wa.gov/Record/View/B5457B029EFEAE835476D0533ADA3949. Temple & Related Lines in North America; Georgia Alvie Temple; http://www.temple-genealogy.com/b1850.htm. “United States Census, 1910,” database with images, FamilySearch (https://familysearch.org/ark:/61903/1:1:MGVS-RW7 : accessed 3 September 2015), Georgia A Temple in household of George A Temple, Morton, Lewis, Washington, United States; citing enumeration district (ED) 129, sheet 4A, family 66, NARA microfilm publication T624 (Washington, D.C.: National Archives and Records Administration, n.d.); FHL microfilm 1,375,679. “United States Census, 1920,” database with images, FamilySearch (https://familysearch.org/ark:/61903/1:1:MHNF-ZRL : accessed 3 September 2015), Georgia Temple in household of Geo A Temple, Yakima, Yakima, Washington, United States; citing sheet 7B, family 188, NARA microfilm publication T625 (Washington D.C.: National Archives and Records Administration, n.d.); FHL microfilm 1,821,946. “United States Census, 1930,” database with images, FamilySearch (https://familysearch.org/ark:/61903/1:1:XCSB-L4S : accessed 2 September 2015), Leslie C Farrar, Greenwood, King, Washington, United States; citing enumeration district (ED) 0287, sheet 4B, family 127, line 100, NARA microfilm publication T626 (Washington D.C.: National Archives and Records Administration, 2002), roll 2490; FHL microfilm 2,342,224. “United States Census, 1940,” database with images, FamilySearch (https://familysearch.org/ark:/61903/1:1:K9SS-9Q8 : accessed 2 September 2015), George L Farrer, Richmond Highlands, Ronald Election Precinct, King, Washington, United States; citing enumeration district (ED) 17-173, sheet 5A, family 127, NARA digital publication T627 (Washington, D.C.: National Archives and Records Administration, 2012), roll 4346. “United States World War II Draft Registration Cards, 1942,” database with images, FamilySearch (https://familysearch.org/ark:/61903/1:1:QVJT-FNGC : accessed 2 September 2015), George Leslie Farrer, 1942; citing NARA microfilm publication M1936, M1937, M1939, M1951, M1962, M1964, M1986, M2090, and M2097 (Washington D.C.: National Archives and Records Administration, n.d.). “Washington, Death Certificates, 1907-1960,” database, FamilySearch (https://familysearch.org/ark:/61903/1:1:N3TG-9HF : accessed 3 September 2015), Georgia Farrer, 29 Apr 1944; citing Seattle, King, Washington, reference 1984, Bureau of Vital Statistics, Olympia; FHL microfilm 2,032,315. “Find A Grave Index,” database, FamilySearch (https://familysearch.org/ark:/61903/1:1:QV2K-DXZK : accessed 3 September 2015), Georgia A. Temple Farrer, 1944; Burial, Seattle, King, Washington, United States of America, Evergreen Washelli Memorial Park; citing record ID 71837096, Find a Grave, http://www.findagrave.com/cgi-bin/fg.cgi?page=gr&GRid=71837096. “United States Social Security Death Index,” database, FamilySearch (https://familysearch.org/ark:/61903/1:1:JBSG-QYM : accessed 2 September 2015), Leslie Farrer, Jan 1972; citing U.S. Social Security Administration, Death Master File, database (Alexandria, Virginia: National Technical Information Service, ongoing). “Find A Grave Index,” database, FamilySearch (https://familysearch.org/ark:/61903/1:1:QV2K-CXDX : accessed 3 September 2015), Sgt G Leslie Farrer, 1972; Burial, Kent, King, Washington, United States of America, Hillcrest Burial Park; citing record ID 68914662, Find a Grave, http://www.findagrave.com/cgi-bin/fg.cgi?page=gr&GRid=68914662. “United States Social Security Death Index,” database, FamilySearch (https://familysearch.org/ark:/61903/1:1:JT7F-8MK : accessed 3 September 2015), Lucy Farrer, Dec 1992; citing U.S. Social Security Administration, Death Master File, database (Alexandria, Virginia: National Technical Information Service, ongoing). “Find A Grave Index,” database, FamilySearch (https://familysearch.org/ark:/61903/1:1:QVL1-RD2N : accessed 3 September 2015), Lucy Ermine Goodale Farrer, 1992; Burial, Kent, King, Washington, United States of America, Hillcrest Burial Park; citing record ID 102461456, Find a Grave, http://www.findagrave.com/cgi-bin/fg.cgi?page=gr&GRid=102461456. “United States Public Records, 1970-2009,” database, FamilySearch (https://familysearch.org/ark:/61903/1:1:QJ4Y-J3JD : accessed 3 September 2015), Lucy E Farrer, Residence, Kent, Washington, United States; a third party aggregator of publicly available information. “Washington, Death Certificates, 1907-1960,” database, FamilySearch (https://familysearch.org/ark:/61903/1:1:N3TG-9HK : accessed 2 September 2015), Lillian Farrer, 29 Apr 1944; citing Seattle, King, Washington, reference 1985, Bureau of Vital Statistics, Olympia; FHL microfilm 2,032,315. Marguerite Adelaide Farrer, Diane’s Family; http://wc.rootsweb.ancestry.com/cgi-bin/igm.cgi?op=GET&db=:1010674&id=I9. William Leslie Lambe Underhill, Diane’s Family; http://wc.rootsweb.ancestry.com/cgi-bin/igm.cgi?op=GET&db=:1010674&id=I8. Dr. Fred and the Spanish Lady: Fighting the Killer Flu, by Betty O’Keefe and Ian Macdonald; Surrey, British Columbia, Heritage House Publishing Co., 2004. Pages 39 to 55 describe Doctor Frederick Underhill’s background, his family, and his work in promoting health and in treating infectious diseases. Frederick William Underhill (1918-1988); http://www.ancestry.ca/genealogy/records/frederick-william-underhill_3445335. Doris Magda Jacobsen (1921-1973); http://www.ancestry.ca/genealogy/records/doris-magda-jacobsen_14752729. Captain Reginald Underhill, Tipton Remembers; http://www.tiptonremembers.net/index.php/underhill-reginald. British Columbia Birth Registrations; Registration Number: 1896-09-908070; Marguerite Adeline Farrer; date of birth: October 22, 1896; place of birth: Vancouver; http://search-collections.royalbcmuseum.bc.ca/Image/Genealogy/8e55d7a0-eb7d-4142-9ba4-2c4c929fe711. British Columbia Birth Registrations; Registration Number: 1895-09-082577; William Leslie Lambe Underhill; date of birth: July 2, 1895; place of birth: Mission; http://search-collections.royalbcmuseum.bc.ca/Image/Genealogy/6bad11ec-c27a-4df0-b0f8-fa2f1b89cf11. British Columbia Baptism Records; Name: William Leslie Lambe Underhill; Gender: Male; Date of baptism: October 9, 1895; place of baptism: Fraser Valley; Father’s Name: Frederic Theodore; Mother’s name: Beatrice Alice. “England Marriages, 1538–1973 ,” database, FamilySearch (https://familysearch.org/ark:/61903/1:1:NN3V-5KQ : accessed 3 September 2015), Frederic Theodore Underhill and Beatrice Alice Muriel, 29 Apr 1885; citing Norwich, Norfolk, England, reference items 20-33 p 38; FHL microfilm 1,657,181. “British Columbia Death Registrations, 1872-1986,” database with images, FamilySearch (https://familysearch.org/ark:/61903/1:1:FL5V-M4L : accessed 3 September 2015), Frederick Theodore Underhill, 17 Feb 1936; citing Vancouver, British Columbia, Canada; British Columbia Archives film number B13156, Division of Vital Statistics, Victoria; FHL microfilm 1,953,020. “British Columbia Death Registrations, 1872-1986,” database with images, FamilySearch (https://familysearch.org/ark:/61903/1:1:FLRW-5Q3 : accessed 3 September 2015), Frederick Theodore Underhill in household of Beatrice Alice Underhill, 11 Nov 1949; citing Vancouver, British Columbia, Canada; British Columbia Archives film number B13202, Division of Vital Statistics, Victoria; FHL microfilm 2,032,572. “Recensement du Canada de 1911,” database, FamilySearch (https://familysearch.org/ark:/61903/1:1:QV95-S897 : accessed 3 September 2015), William Leslie L Underhill in entry for Frederic T Underhill, 1911; citing Census, Vancouver Sub-Districts 51-76, British Columbia, Canada, Library and Archives of Canada, Ottawa, Ontario; FHL microfilm 2,417,663. “British Columbia Marriage Registrations, 1859-1932,” database with images, FamilySearch (https://familysearch.org/ark:/61903/1:1:JDZ2-2H1 : accessed 1 September 2015), William Leslie Lamb Underhill and Marguerite Adeline Farrer, 13 Jul 1915; citing Vancouver, British Columbia, Canada, British Columbia Archives film number B11379, Vital Statistics Agency, Victoria; FHL microfilm 1,983,707. “British Columbia Death Registrations, 1872-1986,” database with images, FamilySearch (https://familysearch.org/ark:/61903/1:1:FGMM-6B1 : accessed 1 September 2015), William Leslie Lambe Underhill, 18 Aug 1984; citing Vancouver, British Columbia, Canada; British Columbia Archives film number B13641, Division of Vital Statistics, Victoria; FHL microfilm 2,073,194. British Columbia Death Registrations; Registration Number: 1991-09-016575; Marguerite Adeline Underhill; Age: 94; date of death: September 16, 1991; place of death: Burnaby; http://search-collections.royalbcmuseum.bc.ca/Image/Genealogy/6e060384-5291-4abe-9744-b37a689d06b6; medical certificate of death: http://search-collections.royalbcmuseum.bc.ca/Image/Genealogy/99610a69-6d1d-4c97-b3ac-8194de45fa54. “Scotland, Births and Baptisms, 1564-1950,” database, FamilySearch (https://familysearch.org/ark:/61903/1:1:FQX1-68Z : accessed 3 September 2015), William Frame, 19 Oct 1864; citing CARLUKE,LANARK,SCOTLAND, reference ; FHL microfilm 6,035,516. “British Columbia Death Registrations, 1872-1986,” database with images, FamilySearch (https://familysearch.org/ark:/61903/1:1:FLGK-1D8 : accessed 3 September 2015), William Frame, 10 May 1941; citing Vancouver, British Columbia, Canada; British Columbia Archives film number B13171, Division of Vital Statistics, Victoria; FHL microfilm 1,953,631. Christian Monks, “WELLS, STATIRA ELIZABETH (Frame),” in Dictionary of Canadian Biography, vol. 16, University of Toronto/Université Laval, 2003–, accessed September 3, 2015, http://www.biographi.ca/en/bio/wells_statira_elizabeth_16E.html. Frame, Statira Elizabeth, Canadian Women Artists History Initiative, http://cwahi.concordia.ca/sources/artists/displayArtist.php?ID_artist=172. Statira (Statiera) Elizabeth Wells Frame (Mrs. William Frame); Art & Artists in Exhibition: Vancouver 1890 – 1950; http://www.british-columbia-artists.ca/frame.pdf. “British Columbia Death Registrations, 1872-1986,” database with images, FamilySearch (https://familysearch.org/ark:/61903/1:1:FL2N-XPL : accessed 3 September 2015), Statria Elizabeth Frame, 29 Nov 1935; citing Vancouver, British Columbia, Canada; British Columbia Archives film number B13155, Division of Vital Statistics, Victoria; FHL microfilm 1,953,019. British Columbia Birth Registrations; Registration Number: 1893-09-907742; Mary Claire Frame; date of birth: January 22, 1893; place of birth: Vancouver; http://search-collections.royalbcmuseum.bc.ca/Image/Genealogy/cd237112-9ae3-4554-942c-0f4ff0beb775. British Columbia Death Registrations; Registration Number: 1989-09-006060; Mary Claire Underhill; age at death: 96; date of death: April 7, 1989; place of death: Vancouver; http://search-collections.royalbcmuseum.bc.ca/Image/Genealogy/53b2c300-a6f7-4b8d-b5d0-993797c6a51b; medical certificate of death: http://search-collections.royalbcmuseum.bc.ca/Image/Genealogy/cedcda83-a79d-44c0-9eb3-374308b8458b. J. E. Rea and Patricia E. Roy, “Martin, Joseph,” in Dictionary of Canadian Biography, vol. 15, University of Toronto/Université Laval, 2003–, accessed September 2, 2015, http://www.biographi.ca/en/bio/martin_joseph_15E.html. “Canada Census, 1901,” database, FamilySearch (https://familysearch.org/ark:/61903/1:1:KHVN-LRM : accessed 2 September 2015), Ernest J Deacon, D, Burrard, British Columbia, Canada; citing p. 1, Library and Archives of Canada, Ottawa. “New York, Passenger Arrival Lists (Ellis Island), 1892-1924,” database, FamilySearch (https://familysearch.org/ark:/61903/1:1:JJ6W-N6D : accessed 2 September 2015), Ernest John Deacon, 04 Dec 1910; citing departure port Liverpool, arrival port New York, ship name Cedric, NARA microfilm publication T715 and M237 (Washington D.C.: National Archives and Records Administration, n.d.). “British Columbia Death Registrations, 1872-1986,” database with images, FamilySearch (https://familysearch.org/ark:/61903/1:1:FL21-VRJ : accessed 2 September 2015), Ernest John Deacon, 04 Apr 1939; citing North Vancouver, British Columbia, Canada; British Columbia Archives film number B13165, Division of Vital Statistics, Victoria; FHL microfilm 1,953,625. “British Columbia Death Registrations, 1872-1986,” database with images, FamilySearch (https://familysearch.org/ark:/61903/1:1:FLKZ-34D : accessed 2 September 2015), Ernest John Deacon, 30 Oct 1909; citing Vancouver, British Columbia, Canada; British Columbia Archives film number B13096, Division of Vital Statistics, Victoria; FHL microfilm 1,927,124. “Find A Grave Index,” database, FamilySearch (https://familysearch.org/ark:/61903/1:1:QVV5-3MRC : accessed 2 September 2015), Ernest John Deacon, 1909; Burial, Vancouver, Greater Vancouver Regional District, British Columbia, Canada, Mountain View Cemetery; citing record ID 26282676, Find a Grave, http://www.findagrave.com/cgi-bin/fg.cgi?page=gr&GRid=26282676. “British Columbia Death Registrations, 1872-1986,” database with images, FamilySearch (https://familysearch.org/ark:/61903/1:1:FLKN-13D : accessed 2 September 2015), Florence Estelle Deacon, 28 Feb 1922; citing Vancouver, British Columbia, Canada; British Columbia Archives film number B13121, Division of Vital Statistics, Victoria; FHL microfilm 1,927,298.